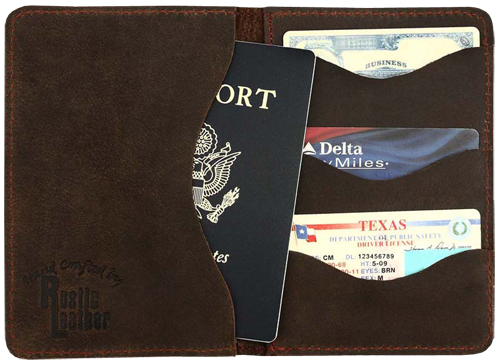 The Rustic Leather Passport Wallet just screams "Take me with you!" It wants to travel, it needs to travel and will only look better and better the more miles you put on it. The leather we used for this is amazingly beautiful and will age wonderfully. 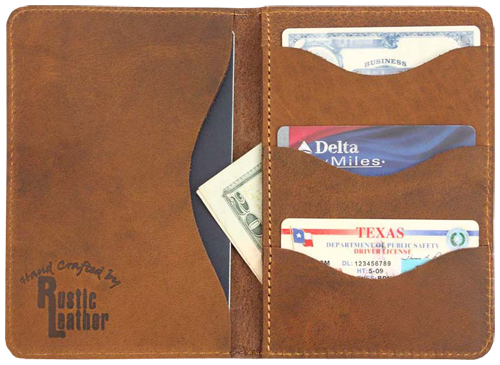 This wallet has a place for your passport, ID, credit cards, cash, receipts, and documents. It easily fits in a breast or a pants pocket without being too big but is large enough for all of your important documents. 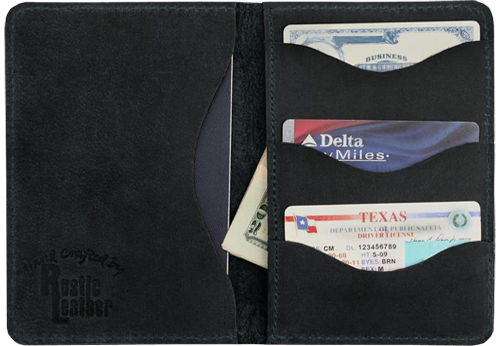 Our Passport Wallet will stand up to the most active adventurer and will keep coming back for more year after year.